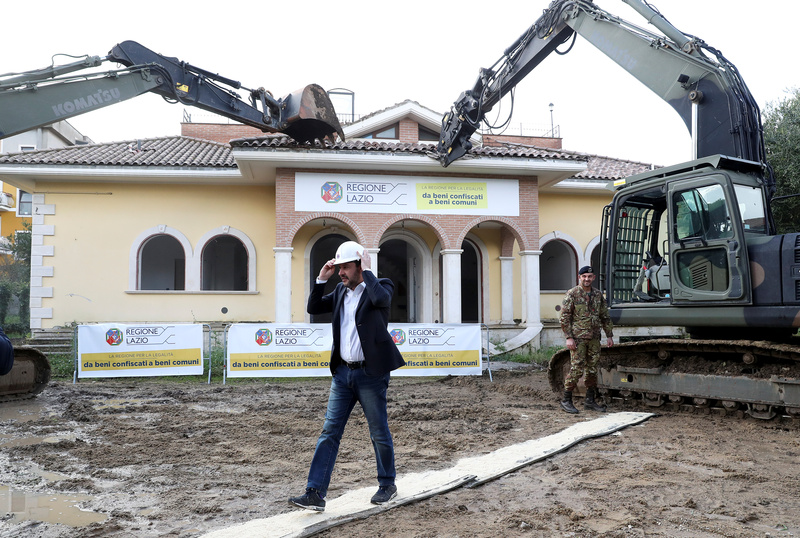 Wearing a white hard hat, Salvini, who heads the League party, boarded a digger and knocked a small chunk from the roof of the villa before the Italian army took over to finish the job. 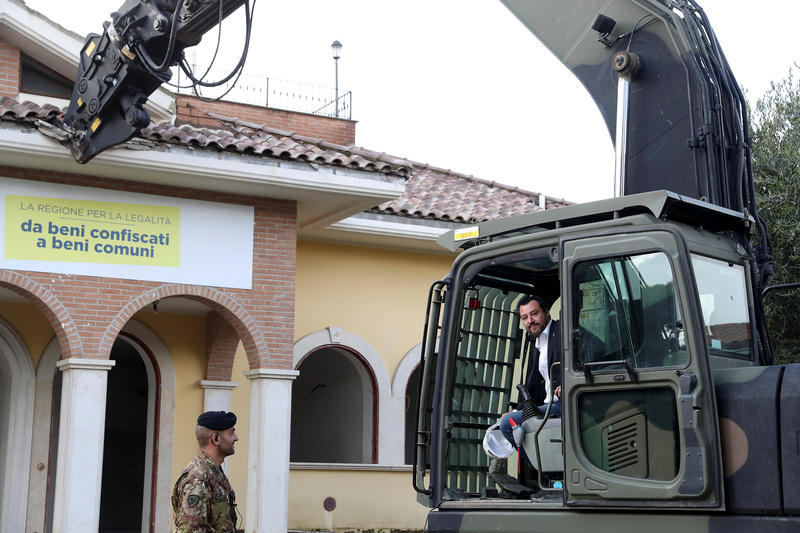 The villa property will be converted into a children’s playground, Salvini said. Just last week, eight other villas belonging to the Casamonica mob family clan were confiscated. Speaking to dozens of reporters and cameras, Salvini promised that he will chase criminals “neighbourhood by neighbourhood, street by street, villa by villa and shop by shop”. In July, 33 members of the group – which is involved in loan sharking, extortion, and the drugs trade – were arrested in raids on gaudy properties which were filled with gilded mirrors, marbled sculptures of animals and extravagant, regal furniture. Salvini has promised to take a hard line against organised crime and irregular immigration since taking over the ministry in June, and he has railed against Roma camps for years, promising to bulldoze them.